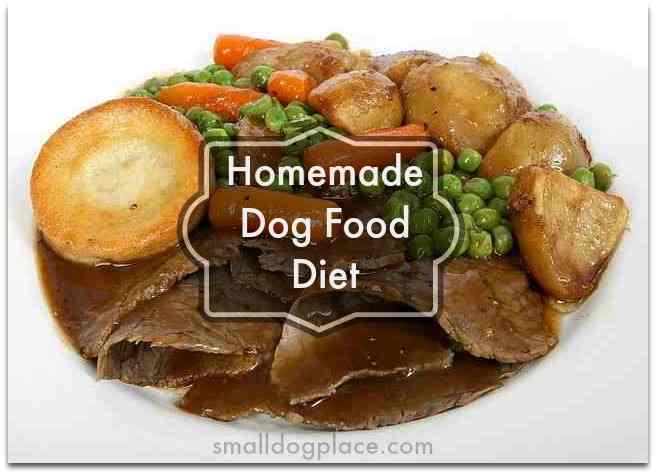 Is a Homemade Dog Food Diet Nutritionally Adequate? Is your homemade dog food diet complete and balanced? Can You Prepare a Nutritionally Adequate Home-Made Diet for Your Dog? Are you feeding your dog a home-made diet? Many pet owners have elected this option so, if you are, you are not alone. There are a variety of reasons why pet owners may decide to prepare their dog’s food at home; many of them are valid reasons. But how sure are you that the homemade dog food diet you are making for your dog is providing your dog with all of the nutrients he needs? A recently completed study collected 200 recipes from textbooks, pet care books, and various websites. These recipes were evaluated for nutritional adequacy and balance. Because previous studies have shown that many homemade dog food diets are not nutritionally balanced and may lead to harmful effects when fed for extended periods of time, this study intended to be the first large scale study to evaluate published recipes for home-prepared diets for dogs. To date, it is largest ever evaluation of homemade recipes for canine maintenance. The results of the study were presented at the 2016 AAVN Clinical Nutrition and Research Symposium. Of the 200 recipes evaluated, 129 were written by veterinarians, and 71 were drafted by non-veterinarians. Computer software was used to assess all 200 recipes, while laboratory methods were used to evaluate 15 of the diets prepared as directed by the recipes. The computer-based analysis was found to be highly predictive of nutritional inadequacies as measured and compared to laboratory analysis of the 15 selected diets. Nutritional profiles of each diet evaluated were compared with the National Research Council (NRC) recommended allowances and the Association of American Feed Control Officials (AAFCO) minimum nutrient concentrations for adult dogs. 92% of the recipes contained incomplete instructions that required assumptions to be made by the owners. Only three recipes met or exceeded the NRC recommended allowances and an additional 2 met or exceeded the NRC minimum requirements. All five of these recipes were written by veterinarians. Only nine recipes met or exceeded the AAFCO profiles. Eight of the nine were written by veterinarians. A whopping 95% of the analyzed recipes contained at least one essential nutrient deficiency. Many of them contained more than one deficiency. Zinc, choline, copper, EPA + DHA, and calcium deficiencies were the most commonly identified inadequacies. Zinc deficiency in the dog most often occurs as a skin condition that is called 'zinc responsive dermatosis.' Some Northern breeds are affected by this disease. According to the AAFCO, puppies and adults should receive 120mg/kg of food consumed daily. Working dogs need more. Zinc is found more in meat and fish sources than in plants. Good sources of zinc include fish meal, soybean meal, and barley. Zinc deficiencies affect the skin and coat and to improve these systems, supplemental zinc may help.Zinc deficiency can cause hair loss, as well as a compromised immune system. Choline, also known as vitamin B4, is considered an essential vitamin for dogs. Dogs are able to synthesize some choline in their livers but need to take in what they cannot make on their own. When a dog has a choline deficiency, he can gain weight and have an increase of fatty tissue in the liver. Vomiting can occur and eventual death. A diet that is devoid of Choline needs to be supplemented by additional sources. Copper deficiencies are rare in dogs, but when they occur, the first sympoms include lethargy, vomiting, jaundice, and weight loss. Copper is responsible for a variety of body functions. When there is a deficiency of copper, anemia and bone growth abnormalities can occur. Copper is found in plant sources such as soy flour and wheat germ meal. Animal sources of copper include beef or lamb’s liver and some meat meals. If these sources are not part of a regular diet, then supplementation would be necessary. Both are an essential part of healthy metabolism; however, they cannot be produced by the dog, so they must taken in through the diet. Because of this, they are referred to as essential fatty acids. EPA and DHA are found in their highest levels in fish oils. Coldwater fish such as trout or salmon are an excellent source of these Omega-3 essential fatty acids. Calcium is needed for the formation of teeth and bones.It is also involved in blood coagulation and in nerve impulses that allow muscle contraction. According to the NRC (National Research Council), healthy adult dogs require 50 mg of calcium per kilogram of body weight. So for a 5 kg dog which is an 11 pound dog, they will need about 250 mg of Calcium per day. Periodic ingredient and/or recipe rotation was not shown to be an effective means of balancing the overall diet because so many contained similar deficiencies. (a common myth associated with homemade dog food diets). Four recipes evaluated were written by board-certified veterinary nutritionists. All four met or exceeded the AAFCO nutrient profiles for canine maintenance. Does this mean that a cooked or raw homemade dog food diet for your dog is ill-advised? It does mean, however, that choosing a generic recipe from a book, a magazine, or a website is not the best choice. Veterinarians, pet experts and pet owners alike, based on the results of this survey, may find preparing a nutritionally adequate diet challenging. Working with a board-certified veterinary nutritionist is your best option should you elect to feed a home-made diet. If you would like more information on canine nutrition, you can download a pamphlet from the National Academy of Sciences. Article is written by Kevin Davies, creator of Pet Lover Guy. Check his article about dog joint supplements https://petloverguy.com/best-joint-supplement-for-dogs/ "